A 25-year-old mentally ill man is dead after getting into an altercation with police officers early Sunday morning. Miami Gardens police said officers were called to a home regarding a violent, mentally disturbed man. When officers arrived, the man -- identified as Lavall Hall -- would not comply with their instructions and engaged in a physical altercation with some sort of object, police said. Witnesses described the object as a broom. 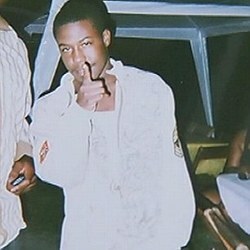 As a result, Hall was shot and died at the scene, police said. "All I want is justice," Hall's mother, Catherine Daniels Brown, told Local 10 News. She said she called police after feeling threatened by Hall. "If I (knew) they (were) going to kill my child, I would have never, ever called them," she said. On February 4, 2016, it was announced that no charges would be filed against the officer who killed Lavall Hall.